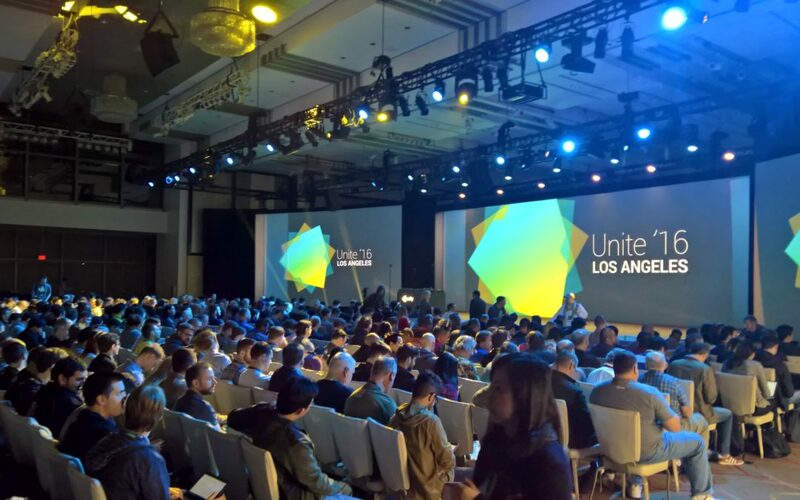 Unite is a conference for developers hosted by Unity Technologies eight times yearly across the globe focused on their game engine Unity. The Los Angeles incarnation of the conference is the main focus for new announcements and talks for all areas of the engine which naturally makes it the obvious choice for Three Gates to attend. Three Gates has utilized the Unity game engine since the first beta version for PC and has since then developed a high level of expertise in using the engine in the best ways possible. To further and maintain this expertise it’s important to keep up on both the latest and future developments, which the Unite conference presents an excellent opportunity for. 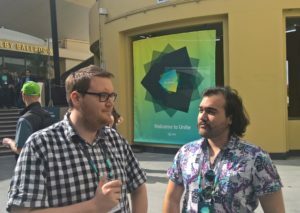 Unite provides plenty of opportunity to connect with fellow developers and engage with the Unity development team directly. The natural exchange of ideas that happens as a result of this is always beneficial for all parties involved. Talking to other developers about how they have solved identical problems with wildly different solutions provides perspective on how we work, and what we can do to improve not only our technical solutions but also our workflows and pipelines. 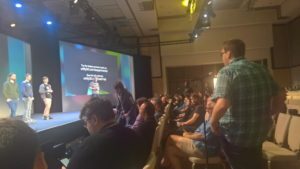 During the Unite obligatory roadmap session, Unity Technologies presented their short and long term plans for the engine, as well as answered plenty of questions from the audience. Being present at this session first hand provides not only a opportunity to query their lead engineers, but also a perfect stepping stone to begin adapting early to the engines new developments. Some of the newly announced and presented Unity functionality and third party plugins has the potential to save allot of work for us while at the same time improving our current and future products. A great example of this is the new “Timeline” animation system due to release with Unity 5.6 that will certainly improve both our workflows and the results. Unity Technologies also announced full support for Xiaomi Market, including official support for Unity Ads for the Chinese market. This practically opens up the entire Chinese and Indian markets for western developers.